Early last week we saw early bettors hammering the Patriots and that trend has continued through the week with New England currently seeing an incredible 75% of total money as -2.5 favorites. Some Las Vegas sports books are reporting that they have seen New England see over 85% of total money, which would be an all time Super Bowl record if that number remains the same as kickoff approaches. My recommendation for bettors who are looking to back the Rams would be to continue to wait it out through the weekend and dare the books to move the line. 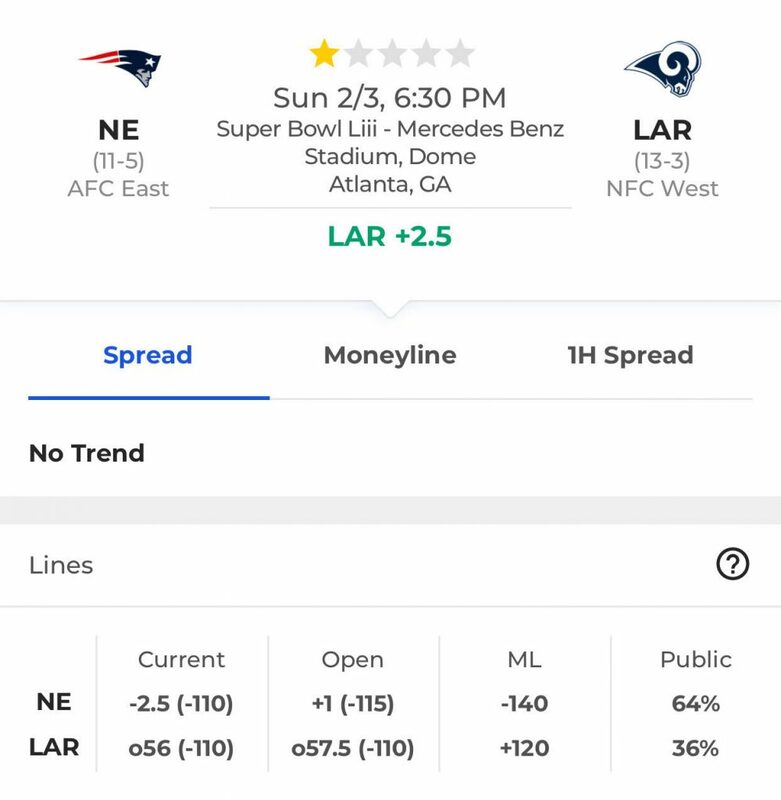 If the line continues to stay at NE -2.5 then I would absolutely not take -2.5 and look to take the Rams ML at +120 or if you have the option buy a half point and get Rams at -3 for -125. The moneyline has also been slow to move and currently sits at NE -140 despite 76% of total money coming in to back the Patriots after sitting at -135 for much of the past week (-140 on most books as of Friday). Again, if this trend continues closer to kickoff I have to think that many sports books will look to cut their liability on New England and move the line closer to the -150 range to entice bettors to pull the trigger on Los Angeles. The total has steadily dropped down to where it sits now at 56 after 62% of total money has come in on the UNDER. It will be interesting to see where the number ends up at given that both of these team’s ranked inside of the top-4 in total offense combined with the recent trend of high scoring Super Bowls. 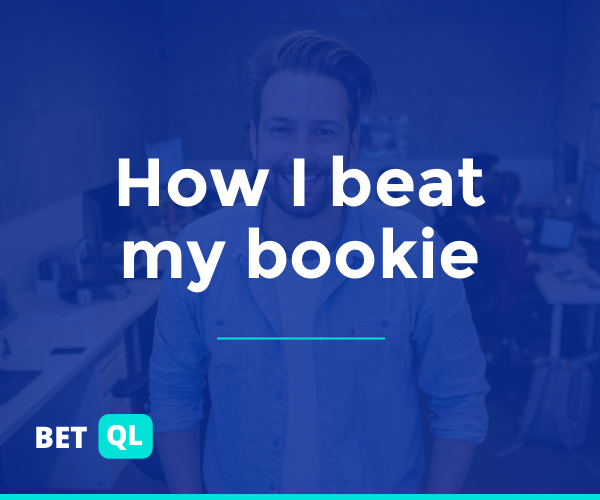 There’s plenty of strategy that goes into putting together a winning ticket, and the best place to start is theBetQL Mobile App. Our Trending Picks and Public Betting tools are a massive advantage when you’re making bets, regardless of bankroll size. I’m always there to help, too, so check me out on Twitter (@DFSBenj) for even more NFL, NBA, MLB and PGA daily fantasy and sports betting content.